The Scottish Standard - Can an Independent Scotland stand on its own two feet? I found this post again, from 18th July 2013 by John Jappy, and this needs to be shared all over the place. In fact it took another 30 years before the first chink in their armour started to appear. 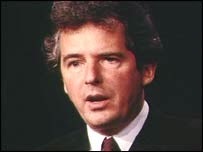 This came unexpectedly on 13 January 1997 when, in reply to a series of questions put by SNP Leader in the Commons, Alex Salmond MP to the then Tory government, Treasury Minister William Waldegrave admitted that Scotland had paid a massive £27 billion more to the London Exchequer than it had received since the Tories came to power in 1979 (ref: Hansard). Statistically this works out at £5,400 for every Scot. Looking closely at the figures and taking the year 2006 as a benchmark, I found that Scotland had an annual relative surplus of £2.8 billion, which works out at £560 for every man, woman and child. In contrast the UK had a deficit of £34.8 billion. In November 2006, the UN published its annual "Human Development Index". For the sixth year running, oil rich Norway topped the list, and won on such factors as generous welfare payments, education, high income and a long life expectancy. Norway wisely created an "oil fund" in 1995 which in 5 years reached a total of £250 billion, so that Norway sailed through the Credit Crunch. Any lingering doubt that Scotland more than pays its way, or survives on subsidies, was dispelled by a report published in the Daily Mail on October 12, 2007. The Daily Mail, which by no stretch of the imagination could be described as a supporter of Scottish nationalism, devoted a whole page to the analysis of the report which was based on tax paid per capita as against spending; Northern Ireland received £4,212 more than it paid in tax, North East England £3,133, Wales £2,990, North West England £1732, South West England £978, West Midlands £931, East Midlands £185 and lastly Scotland £38. Only the South East corner produced a small surplus due to tax paid on the high wages within the city of London at this time (pre-Credit Crunch). Meantime whisky exports, which I listed in 1968 as one of Scotland's top assets, have risen at a phenomenal rate. For example, whisky exports to China amounted to £1 million in 2000/2001, by 2012 they had risen to £71.5 million and have continued to rise. No doubt as the time draws nearer to the referendum on Scottish Independence, politicians will do their best to distort the figures - but all that a UK politician needs to be is a good actor. Having worked on the preparation of UK National Budgets for most of my working life, it irks me when I hear the likes of Danny Alexander spouting forth figures condemning Scotland to financial disaster if it votes for Independence. He has no life experience of producing these figures, he is simply reading from a script given him by his Tory chums. They pull the strings. In fact I once met a Chancellor of the Exchequer who could not even work out the PAYE tax for his domestic employees. The only reason why he didn't get someone else to do it was that he was ashamed of how little he was paying them! Amidst all the claims and counter-claims being thrown around at the moment, I am sure of one thing – if Scotland votes for Independence on the 18th of September, those of us living north of the Border will not lose out.